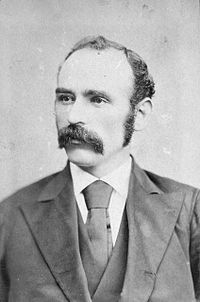 Hulbert recognized that Michael Davitt was not going to divulge the latest strategies inside the Irish agrarian and nationalist movements. Based on the five pages Hurlbert devoted to his one hour interview with Davitt, it appears the American reporter did not ask many tough questions about such activities. He focused on other issues. Hurlbert reported that Davitt’s thoughts were occupied with managing a wool export business, which the author believed could penetrate the American markets despite a tariff at the time. Attended Woolen Co. meeting. While doing fairly well in America, orders not as large as expected though. Visit was another loss for season. This bent of his mind towards the material improvement of the condition of the Irish people, and the development of the resources of Ireland, is not only a mark of his superiority to the rank and file of Irish politicians–it goes far to explain the stronger hold which he undoubtedly has on the people of Ireland. Davitt had spoken of the need for Irish industrial development after his release from Dartmoor [prison]. … He undertook a number of industrial ventures, incurring considerable financial costs. His practical interventions met with little success, but the ideas which he expounded were nevertheless significant. Davitt did not mention his interview with Hurlbert in his diary entries for February 1888, which include the passage about the Woolen Co. He also made more mundane notations, such as “Sick” ; “At home gardening all day” ; and “Wrote 25 letters since 8 last night.” His diary, notebooks, letters and other papers are held at Trinity College Dublin. Ireland Under Coercion … was intended to show that Mr. Parnell and the National League, not Mr. Balfour and Dublin Castle, were the true coercionists in Ireland. What the purpose or motive of the book was has remained a mystery. Splendid report in yesterday’s London Times of my Rathkeale speech. Freeman[‘s Journal] had left out references to boycotting etc. Times leader strangely complimentary–which means, if it has any meaning–put this man in Tullamore. Hurlbert commented about the Freeman’s coverage of Davitt’s speech upon his arrival in Dublin, as noted in my earlier post. The author made other references to Davitt throughout his book, which I’ll explore in later posts, as appropriate. 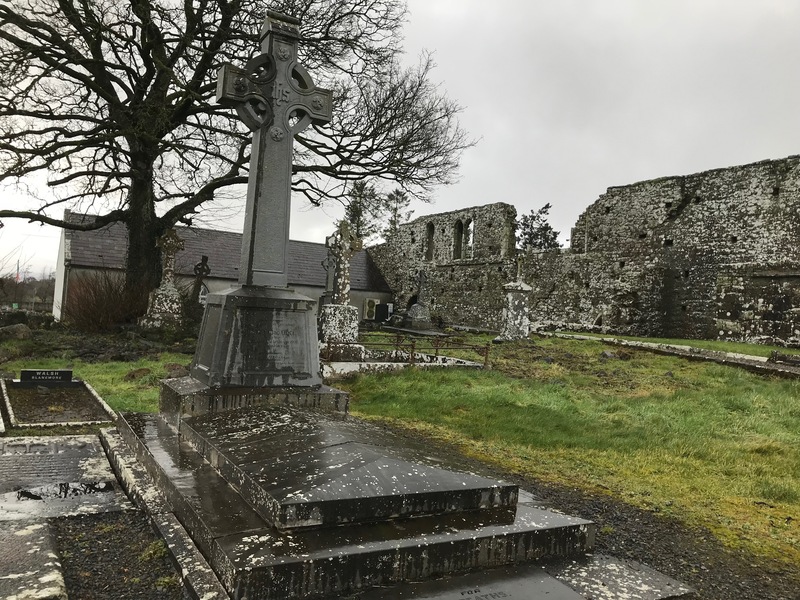 Davitt’s grave, Straide, County Mayo, February 2018. NOTES: From pages 159 to 164 of Ireland Under Coercion: The Diary of an American. I reviewed Davitt’s diary 21 February 2018 at Trinity College Dublin. (Thanks to the helpful staff.) Davitt’s Special Commission quote from page 152 of The Times Parnell Commission Speech Delivered by Michael Davitt in Defense of the Land League. Davitt’s second quote about Hurlbert from page 559 of The fall of feudalism in Ireland. Details about Davitt’s business interests from pages 130 and 156-158 of “Davitt and Irish economic development: ideas and interventions” chapter of Michael Davitt: Freelance Radical and Frondeur, by Laurence Marley, Four Courts Press, 2007. … The paragraph about Davitt’s quote at the Special Commission added during revision, about a week after the original post. This entry was posted in Business & Environment, History, IUC, Revisted and tagged Michael Davitt, Trinity College Dublin on March 3, 2018 by admin.